Zero — the abstraction for nothingness — is a pretty challenging concept to grasp. Studies have shown that humans generally don’t grasp it until kindergarten, and civilization required quite the thought leap in order to incorporate the concept into mathematics. You can’t have modern science without using ‘zero’. But it’s not just humans that can grasp the abstraction. Chimps do it too, and, according to a new study, so do bees! The human brain is made out of around 100 billion neurons, with each individual neuron forming thousands of links with other neurons, giving a typical brain well over 100 trillion synapses (up to 1,000 trillion, by some estimates). This impressive hardware makes the human brain unrivaled in the animal kingdom — but not necessarily more efficient. A bee’s brain only has a million neurons, but it uses every single one of them at full power. Although their brains aren’t much larger than a sesame seed, they have more neurons than any other insect of their size, which they pack incredibly well. The density of neurons of a bee’s brain is, remarkably, 10 times larger than the typical mammal’s. Bees had to develop such a complex neural machinery in order to control their sophisticated sensory system which gives them excellent sight (including the ability to see ultraviolet and polarized light.) and keen sense of smell, taste, and touch. Intuitively, it’s clear that bees are incredibly intelligent insects which can remember precisely where the tastiest nectar can be found. The typical bee can memorize route details up to six miles over several days, which they plot on a map in order to determine the shortest distance between points, and take a different route for their outbound and inbound journeys. Far from being mindless drones, studies have shown that bees are capable of thinking individually, having the ability to learn and remember. For instance, bees grasp the concept of time, and they can count. Now, a newly published study in Science shows that bees’ abstract thinking is far more powerful than previously thought. Representation of honey bee spatial vision when viewing stimuli of either zero or one. Credit: Science. Despite being skilled mathematicians, the Mayans and Romans never used the concept of zero as a mathematical abstraction, though, of course, they understood the concept of nothing or having nothing. The abstraction of zero is a fairly new development, having arisen in the fifth-century AD in India. “The Indian [or numerical] zero, widely seen as one of the greatest innovations in human history, is the cornerstone of modern mathematics and physics, plus the spin-off technology,” said Peter Gobets, secretary of the ZerOrigIndia Foundation. Researchers at the Royal Melbourne Institute of Technology in Australia and the University of Toulouse in France investigated whether bees understand basic rules of arithmetic. In experiments involving 10 bees, the team lured the insects to a wall where they had to ‘chose’ between two square cards. Each card had a number of black symbols printed on them, such as dots or triangles. Under the card with the fewest number of symbols lied a sugary reward, which enabled the researchers to train the bees to predictably fly towards the sheet with the fewest objects printed on it. The point of the training was to teach the bees that two dots are less than four or that one triangle is less than three, for instance. In the next part of the experiment, there was no more sugary reward waiting for them under a card. The bees were able to choose the right card, despite the lack of a reward. However, the ultimate test was when one of the cards was blank, devoid of any symbol. The bees remarkably chose the blank sheet 60 to 70 percent of the time, signaling that they understood that nothing is less than something. It was easier for them when they had to choose between a blank card and a sheet with a lot of symbols. Considering that even young children have trouble understanding zero in similar tests, the findings are eye-opening. They not only suggest that bees are far more clever than we give them credit for, but also that many other animals likely possess the ability to grasp zero. In more practical terms, reverse-engineering the bee’s neural networks might lead to more efficient computers that are far faster than today’s machines. But despite being clever, bees are in trouble. 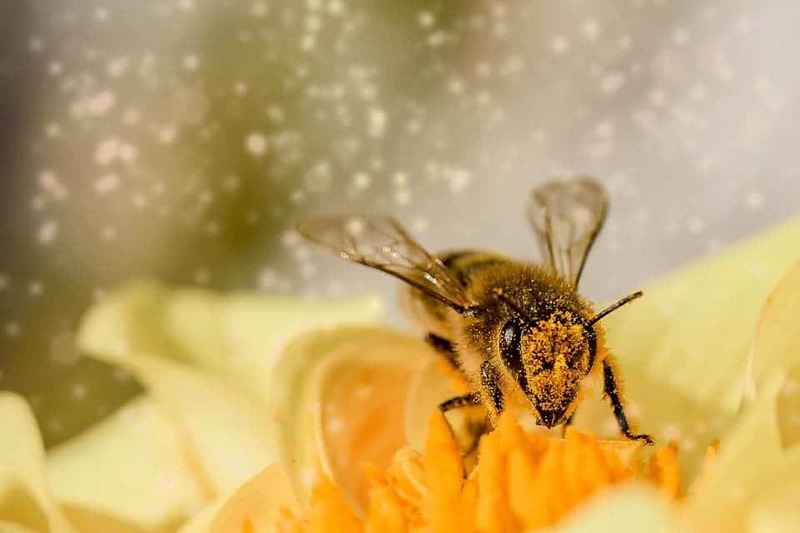 Human activity — especially pesticide use — has lead to a dramatic decline in bee populations around the world, a phenomenon known as colony collapse disorder (CCD). This study is a reminder that we have to act in order to protect not only an extremely important pollinator, but a remarkably intelligent creature to boot.